I think I’ve already exhausted the number of “nebula” tie-ins I could use with this review. I mentioned it twice just in the title and description of this review, so I won’t expound any further on how the true meaning of the word “nebula” and how it is germane to vaping. Look it up. But, fortunately for you, my vaping friends, I don’t think I’ll ever get tired expounding the virtues of my favorite vape company, Vaporesso. I don’t think I’ve ever given a Vaporesso device a lousy review. 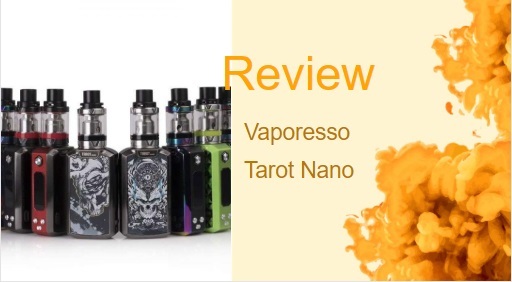 In fact, the last Vaporesso device I reviewed, the fantastic Vaporesso Tarot Nano took home the first-ever perfect score for a box mod I have ever given out. So, here we are again, at the altar of Vaporesso ready to receive their latest offering. This time it’s just a mod, no starter kit components or tank add-on. The Vaporesso Nebula 100W TC mod is one of the first mods to feature a single-cell 26650 battery. The battery powers the now-famous Omni chipboard, which comes with that most revolutionary vaping technology, CCW and CCT modes that let you enhance your vaping experience to an extent previously unseen in the vaping world. Okay, sorry. I’ll try to tone down the hyperbole; that’s the kind of unrestrainable passion that Vaporesso’s devices bring out of me. Apart from the multiple settings and features, the Omni chipset enables, the mod can also upgrade with downloadable firmware available from Vaporesso’s website. In keeping with its galactic-sounding name, the Nebula design aesthetic indeed resembles some vessel used for interstellar travel or at least a piece of it. The Nebula is a decent-sized mod; it’s not pocket-friendly or that great for portability, but it wasn’t designed to be that kind of device. Vaporesso already checked off the pocket-friendly, portable device with the Nano and Tarot Mini, so they went in the other direction to create a stay-at-home device. The measurements on the device demonstrate that. It stands at close to 86mm and has a thickness of 32mm. Holding it in your hand, the mod takes up most of your palm, and that’s without having an atomizer attached. The button configuration on the Vaporesso Nebula is similar to some older Vaporesso devices like the Target Mini. There is a top firing button, followed underneath by the OLED screen, and then three selector buttons arranged in a triangle. The USB port is right at the base of the mod. The battery cover slips off of the mod not-so-easily to reveal the battery port. Battery covers can sometimes be a fatal flaw for any device that has them, but the Vaporesso Nebula’s cover did not come off right at the touch and held very well. The casing on the entire mod is made of a combination zinc and aluminum alloy. And the gloss, oh my, the gloss. The shape and cut of all the zinc and aluminum pieces shone so brightly on the mod, so it looks both elegant and futuristic. Vaporesso, just like with the Tarot Nano, included an independent selector button on the Nebula’s interface to allow for easy accessing of all the different vaping styles. So all you have to do is press the menu selector button to switch in between the various modes. You hold it, actually, for at least three seconds and then the indicator icon that displays the current mode will change. To turn on the device, you just click the firing button five times. Once the device is activated, the Omni chipset takes over. The Omni features a Smart mode that can predict at what wattage your installed coil will vape best, and that was evident when I attached a Veco tank from Vaporesso with a 0.4ohm ceramic coil inside. The mod asked me if was a new coil, to which I responded “yes,” and then the Smart mode went directly to 50W, which is what the Veco EUC coil is best vaped at. So the Omni chipset takes most of the guesswork out of how best to vape with the Vaporesso Nebula. I vaped first with the Veco tank, and a ceramic coil at 50W as I said. I found the vapor satisfactory regarding taste, but not so much regarding flavor. To see how well the Nebula performed I went with the Cloud Beast King, but not with the V12-T12 coil, which would have been a cloud-chaser’s idea of heaven. I decided to keep it at a lower range than 100W at around 90W, which is what the V12-Q4 coils specialize in. And with the assistance of the CCW and CCT modes I ramped up the coils to a high 95W beginning, and then pulled back on the power by sloping down to 70W. What a great feeling. The coils worked fabulously within their ranges, but since they started off rather hot, bringing them down to a lower wattage level helped conserve both battery power and e-juice. Since the Vaporesso Nebula 100W mod doesn’t come with its tank, I decided to see how it would compare next to another mod that also came by its lonesome, the Innokin iTaste MVP4, which is also powered by a single-cell and has a power output of a maximum 100W. Comparing Vaporesso devices with other mods is always a fixed fight. The Omni chipset puts all other competitors on the back foot right away. The Innokin brand has had some innovative devices as well, thanks mostly to their proprietary chipset, the Aetheon. The Innokin iTaste MVP4 has temperature control, and, well that’s pretty much it, oh, it can also be used as a powerbank with the addition of a special adapter. The iTaste has a 4500 mAh battery, but again, it always comes down to the customizability, at least for me. The Vaporesso Nebula with its mighty Omni chipset allows for next-level vaping that no other device out there can come close to touching. Victory: Vaporesso Nebula. The design team at Vaporesso did go in a bold direction designing the Nebula the way it did; they knew it would provoke strong reactions, and it did, because I loved it. The Nebula’s mix of hard edges and layered surfaces reminded me of the original Robocop armor. And that’s always a good thing. I’ll be singing the praises of the Omni chipset till I’m old and gray and when vaping has evolved into a gladiator, death-sport where the best cloud-chasers are given positions of prominence in society. But, seriously, the Omni board can do so much and does not confound the mind to be able to use it. The Nebula’s simple functionality is yet another sign of Vaporesso’s greatness. They managed to integrate one of the most advanced chipsets out there into a device that remains quite simple to use. Although the battery cover did give me any problems initially, I can see that down the road; it would present some issues. I wish Vaporesso would have just made the mod a bottom-loading device to solve this potential problem. Again, “potential” problem. The Vaporesso Nebula 100W mod is a mid-range device from Vaporesso, I think. It wasn’t a perfect showcase for all they can do, but even when Vaporesso is not trying so hard they still create something amazing. I was surprised that they didn’t include a tank with the mod, but it wasn’t a deal-breaker. It was a welcome gesture that a vape company let you decide how best to vape your stuff. The button layout, the functionality, and the OLED screen all worked well together to help any user attain a perfect vaping experience. The number of features on the Nebula was on par for everything Vaporesso offers, which might be “on par” for them, but is still light years ahead of any other vape company. I think I’m almost getting bored of Vaporesso’s excellence and their consistently perfect devices. I give the Vaporesso Nebula 100W mod a constellation full of 9/10s. The Vaporesso Swag Kit is a compact, stylish box mod that vapes at a maximum of 80W and features a cutting-edge Omni Board 2.0. The Vaporesso Tarot Nano, the smaller Tarot Pro, is hosting some of the latest hardware and best performing mod and tanks. What do you mean by mid-range device? You gave it one of the highest ratings I’ve ever seen. Does the battery last long?